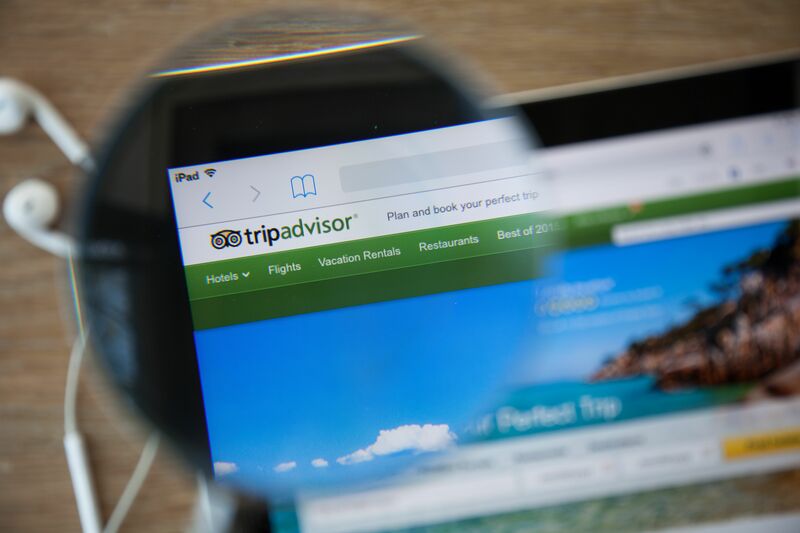 Home SREČANJA - FROM THE EDITOR How to respond to criticism from guests on TripAdvisor? Many hoteliers have already mastered responding to online reviews of their guests, but we believe that occasionally bad criticism appears that completely pushes your buttons. Do we need to respond to a bad review, and how to respond to it? If you give no answer, you let the readers make their own conclusions, which are unlikely to be good. But if you respond and say the wrong thing, you will corrupt the impression even more. Responding to written complaints on web portals, accessible to a large number of people, should be different to responses to the criticism at the hotel, where you can solve an awkward situation on the spot. Read on to learn some tips from the consultant Daniel Craig on how to constructively respond to online criticism, with the recommendation that you should try to adjust them to your communication style and the personality of the brand. First of all, if your guests are continually complaining about the same problems, focus all your energy to get rid of them, before you commit yourself to writing wise answers. There are even tools for managing online reputation, as ReviewPro, which will help you figure out which segment you need to improve the most – staff training, marketing, infrastructure etc. Regardless of whether the criticism looks like plain jabbering or loud fuss, your answer should not sound like it was a quick shot receptionist stuck in a jam during the registration of guests. Since it represents your brand, the answer should demonstrate the same consideration, the same attention to detail and professionalism that you show in the hotel. Forget the stiffness and formality, marketing phrases or too long explanations. Express gratitude for the feedback and willingness to improve; apologise for the inconvenience and tell how you will try to fix these issues. Typically, such complaints are more related to the perception of value, rather than on the price. If repeated, it is likely that you are really exaggerating the charge too high for what you offer. Identify the problem and try to adapt to the expectations of guests. There are many things associated with travel – time, money, vacations, ego gratification … so we are sometimes hearing comments like: “John, the front desk manager was terribly unkind, unprofessional and did not want to help.” How to respond to personal criticisms of staff? In this case, equal attention should focus on the internal and external responses. Internal response is related to how you respond to feedback at the hotel. Personal attacks can be very stressful for the staff, so you should be very careful about them. Listen to John’s side of the story as well and that of colleagues who were present at the controversial situation. If you believe that he acted properly, offer him your support. If he is really unkind to the guests, it’s time to train him better or direct him towards a career change, depending on his behaviour. Let’s be honest: sometimes you just mess up. The guest who left the bad review could be a lost cause, but the rest of the travellers will wonder whether the same thing could happen to them. Something similar applies to problems that can not be dismissed so easily, like worn out furniture and outdated curtains. “We are aware that our hotel is ripe for renovation, so we offer reasonable prices, what many of our guests are happy with.” Then ask the owner to invest in the reconstruction of the hotel. According to TripAdvisor, the longest so far written review contained 9.166 words – the length of a short novel. If something like that happens to you, you do not need to reply to everything, refer only to main points. Every review does not require answer. The travellers read them mainly to learn the experiences of other travellers, so it is unnecessary to constantly engage in conversation. If the review is fair and accurate, you do not need not respond at all. If the reviewer is obviously irrational, exaggerated, leaving offensive comments and fuels hate speech, other travellers will realise what it is about themselves. Focus mostly on responding to those who deserve an apology or additional information and clarification. Criticism can help you to fix some things, but do not be so negative to criticism, to forget to thank your guests for leaving comments good or great. A simple message like “We are very happy that you enjoyed our hotel and we look forward to meeting you again” can do much for your reputation. Next articleBusiness guests want it all, but are they allowed to?